begin to dig: Excessive Daytime Sleepiness - Can be a Big Issue predictor. b2d: a blog about (1) trying to understand how we work, in terms of health, fitness and well-being (2) sharing that understanding (3) trying to figure out or review best practice to optimize and operationalize (ie make it work) that practice for us. Excessive Daytime Sleepiness - Can be a Big Issue predictor. Sleep is so important. Sleepiness during the day may likewise be a really critical health marker. Sleepiness itself is usually taken as a sign that we just didn't get enough kip. Sometimes figuring out why is easy, and we can fix it; sometimes figuring out why is a little more elusive, and getting some knowledgable help is a great idea. Note: if you're considering seeing a trainer or coach, find out from them what kind of HISTORY they take about your wellbeing. If there's nothing in there about the qualities of what i've been calling our H2 Ratio, you may want to have a chat with someone else. We know that chronic sleepiness in"older adults", is a marker of potential heart issues and mortality risk. It also seems to show up some specific correlations around mental and physical well being too. While doing some work on sleep in our lab project on personal wellbeing tracking, i came across the following studies on EDS (excessive daytime sleepiness). The first is EDS as a marker of risk for "older adults"
J Am Geriatr Soc. 2000 Feb;48(2):115-23. Daytime sleepiness predicts mortality and cardiovascular disease in older adults. The Cardiovascular Health Study Research Group. Newman AB, Spiekerman CF, Enright P, Lefkowitz D, Manolio T, Reynolds CF, Robbins J. University of Pittsburgh, Pennsylvania 15213, USA. INTRODUCTION: As part of the baseline examination in the Cardiovascular Health Study, sleep disturbance symptoms including snoring and daytime sleepiness, were assessed as potential risk factors or precipitants of cardiovascular disease (CVD). Because of the association of sleep disturbance with poorer health and the possible associations of sleep apnea with CVD, we hypothesized that those with poorer sleep or daytime sleepiness may be at increased risk of mortality or incident CVD. SETTING: Participants (n = 5888) were recruited in 1989, with an additional minority cohort recruited in 1993, in four US communities for a cohort study designed to evaluate risk factors for cardiovascular disease. METHODS: An interview-administered questionnaire regarding health and sleep habits with ongoing ascertainment of total mortality and cardiovascular disease morbidity and mortality, including total CVD morbidity and mortality, incident myocardial infarction, and congestive heart failure. RESULTS: Daytime sleepiness was the only sleep symptom that was significantly associated with mortality in both men and women. The unadjusted hazard ratio was 2.12 (1.66, 2.72) in women and 1.40 (1.12, 1.73) in men. Men who reported difficulty falling asleep also had an increased mortality rate (HR = 1.43 (1.14, 1.80)) which was not seen in women. The risks were attenuated with adjustment for age but remained significant for daytime sleepiness in women (HR = 1.82 (1.42, 2.34)) and for difficulty falling asleep in men. (HR = 1.29 (1.03, 1.63)). Frequent awakenings, early morning awakening, and snoring were not associated with a significantly increased risk of mortality in these older men and women. Crude event rates were evaluated for total incident cardiovascular morbidity and mortality, incident myocardial infarction, and incident congestive heart failure (CHF). Incident CVD rates were higher in both men and women with daytime sleepiness. The aged adjusted HR was 1.35 (95% CI = 1.03, 1.76) in men and was 1.66 (95% CI = 1.28, 2.16) in women. Incident CVD was not higher in those with any other sleep disturbance including snoring. The risk of CVD events associated with daytime sleepiness was attenuated but remained significant in women after adjustment for age. Incident myocardial infarction (MI) rates were also higher in women with daytime sleepiness but were not significantly higher in men. Incident CHF rates were increased in both men and women with daytime sleepiness. In men, the age adjusted HR was 1.49 (95% CI, 1.12- 1.98) and in women, was 2.21 (95% CI, 1.64-2.98). Women reporting both daytime sleepiness and frequent awakening had a hazard ratio of 2.34 (95% CI, 1.66-3.29) for incident CHF compared with those with daytime sleepiness but without frequent awakening. This interaction was not found in men. CONCLUSIONS: In this study, daytime sleepiness was the only sleep disturbance symptom that was associated with mortality, incident CVD morbidity and mortality, MI, and CHF. These findings were stronger in women than men, i.e., the associations persisted for mortality, CVD, and CHF in women after adjustment for age and other factors. Thus, a report of daytime sleepiness identifies older adults at increased risk for total and cardiovascular mortality, and is an independent risk factor in women. The big deal here is the end of this abstract - the signs being described have much the ring of metabolic syndrome to them, don't they? Why folks feel sleepy during the day we know may stem from multiple causes. Nutrition issues, pain, breathing difficulties, lack of movement during the day, medication, sleep disorders. But it seems one of the highlights from this article is that it's REALLY IMPORTANT that if one is chronically sleepy, it's more than a good idea to check in about what might be causing that sleepiness and get it addressed. Likewise, a more recent study looked at quality of life responses across ethnic groups relative to sleep disturbances/EDS. Here's what they report. J Clin Sleep Med. 2010 Apr 15;6(2):176-83. Sleep disturbances, quality of life, and ethnicity: the Sleep Heart Health Study. Baldwin CM, Ervin AM, Mays MZ, Robbins J, Shafazand S, Walsleben J, Weaver T.
STUDY OBJECTIVES: To compare health-related quality of life (HR-QOL) across subgroups defined by sleep disturbances and ethnicity. METHODS: Men (47%) and women (53%) Sleep Heart Health Study participants age 40 and older (N = 5237) underwent overnight polysomnography and completed self-report questionnaires on symptoms of sleep disturbances. The physical and mental composite scales (PCS and MCS) of the Medical Outcomes Study 36-item short form survey assessed HR-QOL and were compared to sleep data. RESULTS: Participants self-identified as Caucasian/White (n = 4482, 86%), African American/Black (n = 490, 9%), or Hispanic/Mexican American (n = 265, 5%). The prevalence of obstructive sleep apnea (OSA) was 17%, frequent snoring was 34%, difficulty initiating or maintaining sleep (DIMS; insomnia symptoms) was 30%, and excessive daytime sleepiness (EDS) was 25%. African American participants with frequent snoring, insomnia symptoms, or EDS had significantly poorer physical health compared to Caucasians (p < 0.001). Hispanics with frequent snoring, insomnia symptoms, or EDS had significantly poorer mental health than Caucasian participants (p <0.001). Neither PCS nor MCS scores differed significantly across ethnic subgroups for participants with moderate to severe OSA (respiratory disturbance index > 15, 4% desaturation). CONCLUSIONS: Across ethnic/racial subgroups, sleep disturbances are associated with worse physical and better mental HR-QOL than the U.S. norm, but this relationship may be moderated by comorbid health conditions. This study replicates and extends prior research indicating differences among minority and non-minority participants and highlights the need for future studies of sleep disturbances with larger samples of minorities that control for comorbid health conditions. What the study suggests is that sleep disturbances and results like excessive daytime sleepiness (25% of the total cohort of over 5000 participants) seem to correlate with different effects on mental/physical health relative to (a) US Norms and (b) ethnicity. A key conclusion, however, is that, while these results are indicative, they may be part of "comorbid health conditions" - in other words, the sleep related problems and their associated responses may be part of a package of issues. So as with the "older adult" study, sleep issues may be showing up as a consequence of related factors. THat's not a particular surprise. What we do know, however, is that crappy sleep in itself - that can show up as excessive daytime sleepiness too - is not good for health. We need quality z's. A recent survey of evaluation approaches shows there are LOTS of ways to check in with a person about possible causes and developing a strategy towards getting better sleep. And, if you're interested more generally in what sleep is, and what some known sleep issues are, there's a nice current overview - free paper - called simply "Overview of sleep & sleep disorders." Sleep Practice Feedback. In my group, we're doing research looking at the role awareness may play in wellbeing, health, quality of life. One of the devices we're using as a feed for the data is the Zeo. I've written about this before with a two part interview with Stephen Fabregas, sleep researcher, at Zeo. I'm also in the throes of prepping a review of using the device. Early summary: i really like it, and yes it's helped modify my behaviour to get better quality sleep. Why? because i can *see* it - my sleep cycles - i want to understand why i had less deep sleep or what's going on with low REM compared to how i usually sleep. What's different? Pretty simply it gives me a way to help make more grounded sense of how i'm doing. And it's making a difference. There's also a sleep coach program that i'm just getting into, so that's why the review is not out yet - i want to see what that does, too. But even without the sleep coach, this device, compared with all the sleep info on the site, has been making a real difference to my perceived well being. If you're interested, Zeo is offering a 10dollar off/free shipping deal with a coupon (here's the link). As said, i like it. I'm learning a lot. And am using it more than i do a heart rate monitor right now perhaps because this is such a new area of investigation for me. 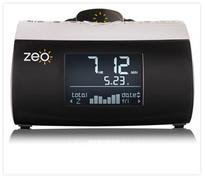 Now, getting a zeo is not a replacement at all if one is suffering from excessive daytime sleepiness or related sleep issues in sitting down with a health pro to find out what may be going on with one's sleep - if there is some disease or drug or related Big Deal happening that requires attention. And sleep, as stephan said in the interviews, is SO crucial, and as the above research shows it's critical to get on top of it. What a zeo can do is reflect back, pretty clearly, if those strategies are working, and if so, how well. That wee display can also help keep us honest about our practice, and help us tune that practice. So it's no replacement for real counciling (nor is it designed to be) around a chronic issue, but it's a great way to help dial in and feedback the practice. For instance, some of the quesitons i've had are: all things being equal, does timing of exercise in the evening REALLY effect my sleep quality? Does doing two split workouts a day do better than one? Can i really see any difference on fasting or better quality eating days? Very personal tuning to be sure, but it wasn't really possible to ask these quesitons previously as i had no real, clear way of correlating sleep with these practices. There's a section on the site "for health pros" that lists the research on this puppy. Summary: Daytime sleepiness especially if it starts to become a pattern is NOT a good thing. It's associated with everything from poor mental health to, well, death. So, it's very much worth getting sleep quality up (and daytime sleepiness down). Sleepiness during the day, especially in older adults, seems to be a strong marker of a potential issue. If general healthy sleep practices aren't working, checking in with a health professional like one's GP about what factors may be influencing it, and getting on top of it, are really important. It's awful to have health issues already where more will be amplified by poor sleep. A vicious cycle that needs to be broken. A sleep monitor tool in these cases to give good feedback on how well strategies, once they've been developed, are working. If you are already moving and experiencing sleepiness, working with a qualified practitioner /coach who can look at your movement, nutrition, sleep and related is a Good Thing. I personally work with folks in consultation with their GP's assessments. They go great together. But main takeaway: chronic daytime sleepiness - it's our bodies talking to us in a BIG WAY to say something needs to change. Seek help in figuring out what things to tune and how. You'll love how you feel. Tobias, thanks for the fast comment. how many hours of sleep is that 105 based on? Talking with the folks at zeo, 180 seems to be a record. for folks who don't know what we're talking about, zeo creates a sleep score based on time in various sleep stages. It's just a number. as the site says "Keep in mind, getting a higher ZQ doesn't always mean that you'll feel better during the day. How you feel can be influenced by other factors from night to night including lack of sufficient sleep for several nights running, or a particularly exhausting day." it's one measure of a bunch - including the biggie: sleep debt. So how's your overall experience going?? I know sleep debt could give theese results but I had ZQ off 100 the night before. Overall my sleep is terrible. Going to a sleep lab but waiting time is 5 months. And the sleeping problems, I'm starting to think is the symptom and not the cause. The cause though is mysterious since the tests I've had looks great. Right. sorta what i thought - that's nine+ hours of sleep. so more chance to get more cycles usually = higher ZQ. doesn't mean anything on it's own. that you feel like crap is the biggie. so sorry to hear about the issues, and glad you're getting that checked. and look for any typical sleep disorders too. have you done such a check with your GP, though? that might be faster? all the best with your practice, Tobias and thanks for dropping by. I'm an older d00d (52) and didn't start having daytime sleepiness until I went on my caloric intake restriction program (diet). To combat this (and neck and muscle stiffness also), I do squats, deadlifts and TGUs in my work cubicle with a 24k kettlebell. It helps! Had to google GP :) I'm from Sweden. I've been bloodtested, ECG and talked with a CBT practitioner. We'll see how it goes and if I remember, I update you in a future post. Great website! I love the articles on the vff and sleep. Had not heard about the zeo before. I would like to ask if the zeo and their system takes into account the timing of sleep? According to sleep theory I have read the same amount of sleep, say 7 hours, will have different effects depending on when you go to bed. This is due to the bodys biorythms, that preps the body to benefit the most from sleep during certain hours. For myself, I find sleep most restorative if I go to sleep between 22.30 and 22.45. If it gets much later than that, and the same amount of sleep will not be as restorative for me. Do you know if this is taken into account in the zeo system? the zeo doesn't tell you when to sleep but the sleep coaching seems to help you understand your rhythm. and light for the hormal relations to sleep. whether someone is a morning person or not really dunno. but it seems playing with these three variables you can get your bedtime reset by practice - it's not innate. I have heard that x hours before midnight is a good idea, but increasingly i think that's more about how those other variables may be working together. Tobias here again! I said I was going to update you in the future so here it is. Since my last post I have got one night with a ZQscore of 143. My sleep specialist also said I lack in deep sleep hours. That, I've noticed with the Zeo. Also I have hypoglucemia and the reason for that might be hyperinsulemia. And last but not least I'm kind of hyper. I have like ten years of bad sleep and one reason for it is I strive so bad to be alert it backfires. I'm still reading every blogpost of yours though I'm not a very active commenter since I seldom feel like I can add anything :) Thanks for your writing anyways!! Thanks for coming back Tobias. Will be keen to hear how the sleep diary works with your new practices. way to go getting some sleep back. What do you want? More energy? to feel better? To look better? To get the edge at work? Be nicer at home? o Why Move or Die? o Why not move through pain? o RESOLVING CHRONIC BACK PAIN: the issue may not be in the back. Subscribe to b2d with your favorite reader - just click. You can also subscribe to b2d by Email and get alerts when there's new posts. Please see "about coaching with dr. m.c." for all the gnarly about details.